The Philippines has one of the highest population growth in Southeast Asia and remains a strong economic performer in the region, despite slow global growth. That shouldn’t last too long, though, as HSBC predicts that in 2050, the Philippines should rank as the 16th largest economy in the world, the 5th largest in Asia, and THE largest in Southeast Asia. The future seems bright given the country’s fast growing economy, and yet 69% of the Philippines’ adult population remains unbanked, according to the World Bank. Malik Khan Kotadia, Global Banking Group senior vice president, believes that fintech companies will play an important role in the financial services industry notably by complementing the products and services offered by banks and increase financial inclusion. But who exactly are these “enablers” and new challengers? Today, we take a look at the Philippines’ top 12 fintech startups to keep an eye on. Ayannah specializes in digital commerce and payment services for unbanked populations. The company builds and operates innovation digital commerce and payment services and has enabled millions of online and mobile transactions. Ayannah operates Sendah, a B2C gift remittance service targeting migrants; Sendah Direct, a software-as-a-service platform that partners with brick-and-mortar retailers to offer mobile top-ups, online game credits, and domestic remittance; and Sendah Remit, a software-as-a-service allowing interoperable international and domestic remittance transactions across different networks. 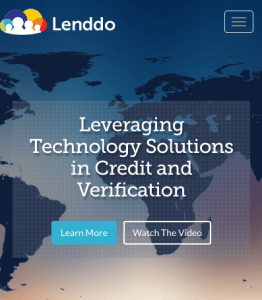 Headquartered in Hong Kong, Lenddo has developed an algorithm that pulls and analyzes social media data to determine credit worthiness. The company has offices in Manila, Bogotá, Mexico City and New York, and currently provides its API in more than 15 countries. In January, Lenddo signed a deal with consultancy firm FK BCG to bring its technology to the South Korean market. 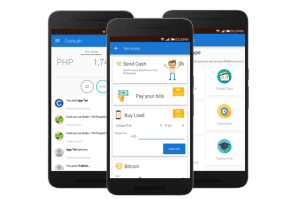 Based in Manila, Coins.ph is a money transfer platform powered by blockchain technology. The platform allows for convenient, secure and cheap remittances from and to Southeast Asia, and is one of the leading Bitcoin startup in the region. Singaporean MyFinB specializes in financial analytics using proprietary artificial intelligence technology. The company, which operates all around the world through country dedicated platforms, allows businesses to create their own credit analytics bureau within their organizations. 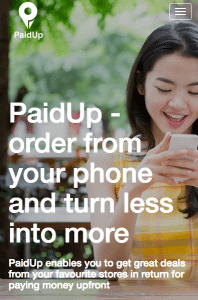 PaidUp is a mobile app that lets users buy credit upfront from stores in return for exclusive discounts, freebies and rewards. The app features a list of partner businesses to choose from and includes a payment functionality, allowing customers to register their credit cards and pre-order ahead for pickup. 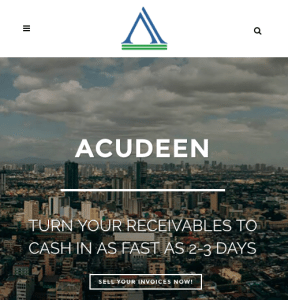 Acudeen is a peer-to-peer invoice marketplace that allows small and medium-sized enterprises to convert their unclaimed receivables for cash to boost their cash flow. Acudeen, the first online marketplace for invoice discounting in the Philippines, aims at becoming the market leader in the Asia Pacific region. Tagcash aims at providing a solution for micropayments in Southeast Asia, starting with the Philippines. The platform is part of a wider ecosystem that combines social media and payment functionalities, allowing users to share “moments” and purchase goods and services. BeamAndGo, a service of Singaporean BeamAndGo Pte. Ltd., provides Filipinos and overseas Filipinos with a way to purchase groceries, supplies, health care, insurance, education and prescription medicines, for their friends and families in the Philippines. BeamAndGo is very similar to an e-commerce platform except that it focuses on life’s essentials. 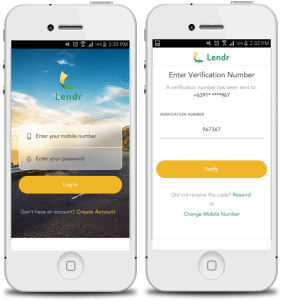 Lendr is an end-to-end loans origination and loans management platform aimed at financial institutions and credit providers. The company provides banks and financial services firms with a fully digital, multi-channel, telco- and bank-agnostic platform. In February, the startup signed a deal with UnionBank of the Philippines, a partnership aimed at boosting the bank’s retail loan growth. PawnHero is the first pawnshop serving the Southeast Asian region that operates essentially online. 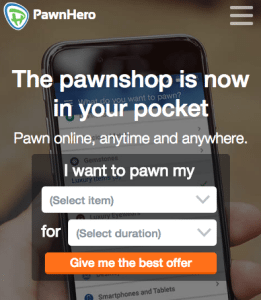 The platform lets users pawn and/or sell their personal belongings in exchange of cash. 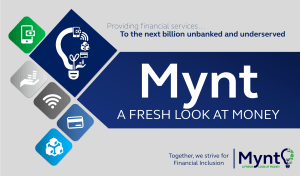 Mynt, which hasn’t been launched yet, is expected to provide financial services to the unbanked and underserved. The company aims at increasing financial inclusion. Featured image: Skyline of manila city, Philippines by Richie Chan, via Shutterstock.com.